The Portland State University's Museum of Natural History is a research-based museum with collections from around the world. Working specifically with the Invertebrate collections, we are working on progressing the current collections and doing various outreach events to disseminate this knowledge to the public. This spring we will be working with Living Cully for an outreach event that will help increase knowledge and awareness to kids living in the Cully neighborhood about invertebrates in the Portland area. The PSU Natural History Museum houses collections of various vertebrates, plants and invertebrates with a focus on specimens from the pacific northwest. These collections include over 18,000 vertebrates and invertebrates dating back to the 1800s. Working specifically with the invertebrate collections we help collect various specimens from the diverse phylum of the arthropods (insects, arachnids, crustaceans, myriapods). 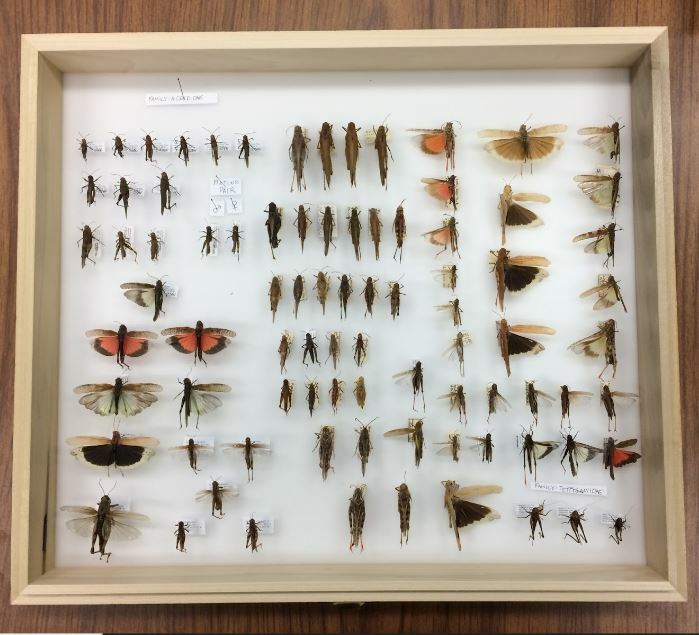 These specimens are then preserved according to museum standards and protocols and curated by being identified and organized. This work helps increase the abundance of collections in the museum and aids in taking care of the current collections. At the moment the museum does not have a public space, so we rely on various outreach events to spread our knowledge to the general public. These events can be as large as the open house events happening throughout the year, where students working in the museum showcase the collections with fun activities for all ages. Events can also be small, with frequent school groups visiting and learning about the natural history museum and the collections. Science education and outreach is fundamental to stimulating knowledge and interest in the general public while increasing scientific proficiency. The museum currently is working on expanding the accessibility of the public to view and interact with museum activities. PSU Museum of Natural History will be partnering with Living Cully for a Critter Cruise in Thomas Cully Park on June 9th 2017. Living Cully is a collaboration of several non-profits working in the NE Portland Cully neighborhood. This outreach event will include several classrooms from Scott elementary school located in the Cully neighborhood. They will be joining us for various fun activities surrounded around teaching and promoting sustainability and biodiversity. The museum will be working with the kids to carefully collect and search for various invertebrates (insects, spiders, snails) throughout the community garden, with the intention of identifying and learning about whatever we find.